I’d heard rumours that he would be at the 40th Anniversary celebration for Edinburgh Research & Innovation, which took place in the Playfair Library yesterday, but I am totally shocked that it was true. Luckily Nicola and Hasan of VidioWiki were armed with their handy Flip camera, and we got to have a look at one of the stills. 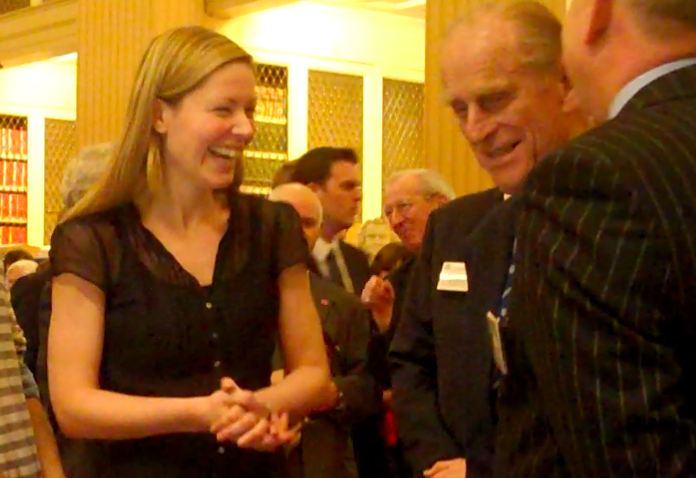 Anyone else have stories about Prince Philip from yesterday? HRH was a charmer. He peppered everyone with questions, made jokes, and looked more energetic and spry than any of my other 88-year-old friends. MI5 didn’t look too stressed either. All in all, a great event.